Mike Baur assured Intelisys sales partners that the merger announced this week would not affect payments or existing agreements. I would like to take this opportunity to introduce myself. Nearly 25 years ago, I co-founded ScanSource. We were a small company of only six employees. We literally lived and breathed the success of our partners. It was that entrepreneurial spirit that helped to get ScanSource where it is today. Yes, we are much larger now, but that spirit still runs through the veins of our company, as it did 25 years ago. And it was that same entrepreneurial spirit and staunch dedication to channel partners that drew us to Intelisys. On Monday, we announced a definitive agreement to acquire Intelisys. Following the closing of this acquisition, Intelisys will have access to greater resources to provide additional value to your business, to offer even more support, and to give you more routes to market your offering. As the channel evolves, the convergence of hardware, software and services has been inevitable. We believe this convergence presents one of the biggest opportunities in years for the channel. There is room for everyone and the possibilities are endless. To that end, we are already designing new programs that will enable you to easily take part in selling total solutions that complement your business offerings. Intelisys’ existing obligations to pay commissions will be honored as per the terms of your agreement. You will continue to be paid at the same rate that you have been prior to this announcement. We will be assuming all partner agreements and leaving none behind. Any successors of ScanSource will similarly be required to adhere to all partner agreements assumed through our transaction pursuant to our agreement. We have not nor do we intend to change commission rates in any partner agreement. In support of that, we understand that getting paid accurately and on time is critical to the success of your business. The way you have been getting paid will not change. All obligations will stand true after the close of the acquisition. Your Intelisys team will continue to serve your business in the same capacity as before. 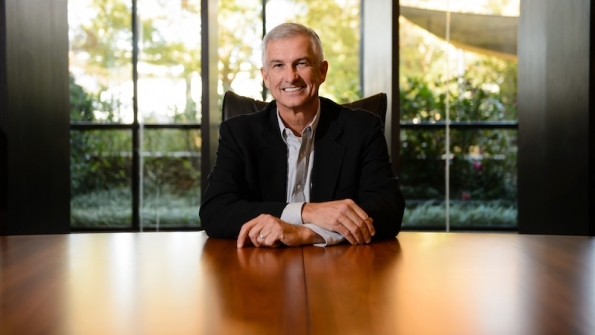 The culture of Intelisys and the employees are what have made this company so successful. We know they are the best in the industry! On behalf of all of ScanSource, we are very excited to support you in your business. Over the next few months, I hope to have the opportunity to meet you personally. I will be attending Channel Connect in October and could not be more excited to meet the partners that have entrusted their business to Intelisys. Until then, I wish you success. Telemedicine is significantly moving the health care needle.